Sing, rhyme and enjoy music with your baby as you rock, walk, bathe, feed and play together. 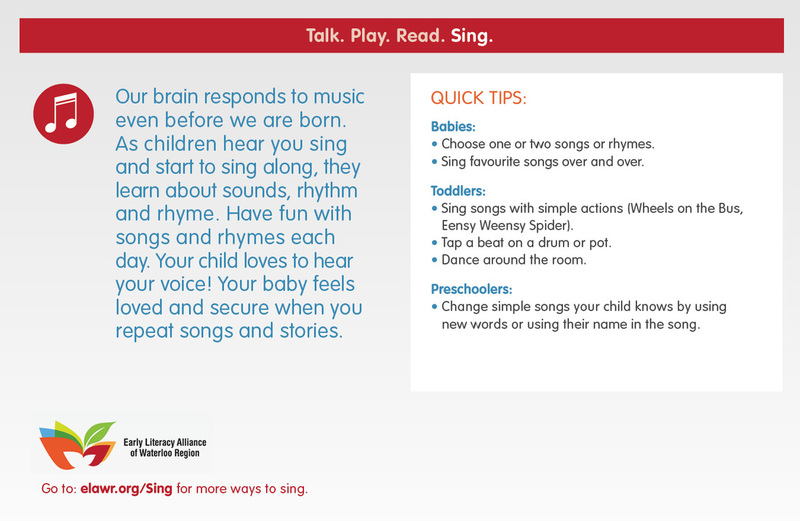 As children hear you sing and start to sing along, they learn about sounds, rhythm and rhyme. Music is a great way to introduce children to sounds and words! Research indicates that exposure to music has numerous benefits for a child's development.